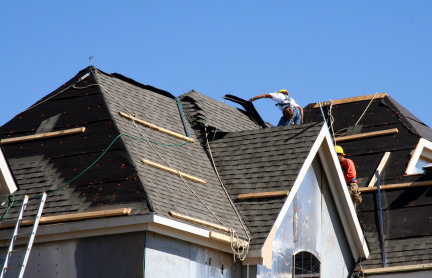 Read all the news about our roofing services like roof repair, leak roof repair, roofing tips etc. What to choose :Steep Pitch Roofing or Shallow Pitch Roofing ? Less water accumulation- Well, this is one of the most significant advantages which the steep roofing has to offer. It lessens water accumulation thus increasing the life of the roof. Whether it’s raining or snowing, it can quickly fall off from the roof thus reducing the probability of any damage or leakage. No debris depositing– A steep pitch roof doesn’t allow the leaves, twigs or fallen branches to stay on the roof for long. They tend to fall off and thus, making the roof clears off the debris automatically. Aesthetic appeal– Another vital benefit of high-slope roofing is that there are various styles and options available for the same. Flat or low-pitch roofs look dull and are very mundane; however, when it comes to high-slope roofs, they are various styles available which can give an aesthetic appeal to your house. Better Durability- Since high-slope roofs do not allow the water, snow or debris t accumulate, thus, they remain more durable and require minor maintenance as compared to other roofing choices. They have a longer lifespan. All these advantages offer by steep roof are making them popular amongst the people . An important point to note here is that steep roof is more popular forms of residential roofing. However, if you are going for commercial roofing, people often choose flat roof. Thus, based on your requirement you can select the type of roof you want.